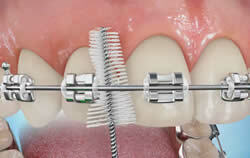 When you have braces, it is more important than ever to brush and floss regularly. Food and bacteria that collect around bands, brackets, and wires can cause stains and cavities, not to mention unpleasant odors, so be sure to keep your teeth clean! 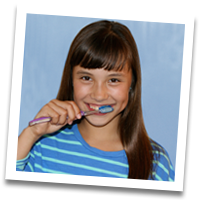 Brushing teeth with braces requires more time than brushing without braces. Be prepared to spend at least two minutes each time you brush.